This spacious tenement flat is situated in the heart of the West End and is located within a red sandstone tenement building. The accommodation extends to a reception hall, a reception room with bay window, a modern fitted kitchen, two large double bedrooms and a modern fitted bathroom with shower over bath. The property is well presented in neutral tones throughout and further benefits from gas central heating, double glazing, secure door entry and a communal garden. 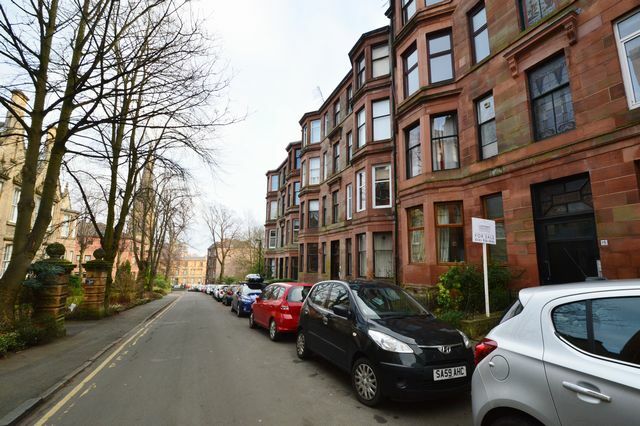 Situated in the heart of the popular West End with easy access to the City Centre and within walking distance of Kelvinhall & Hillhead undergrounds.